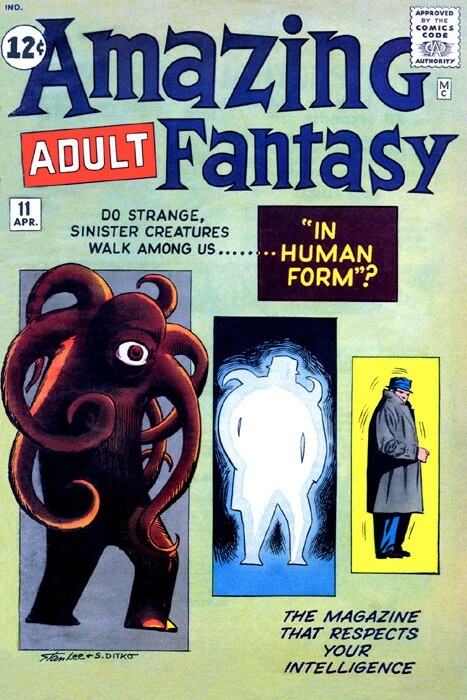 Amazing Adult Fantasy (1961) -11- In Human Form? Titre : In Human Form? Info édition : Contient les récits: In Human Form!, For the Rest of Your Life!, The Secret of the Universe!, The Ice Monster Cometh! et Where Walks the Ghost?